The JHU News-Letter featured Prof. Tal Linzen in this week's Lab Spotlight. Check it out! PhD student Jane Lutken received an NSF Doctoral Dissertation Research Improvement Award to pursue her research project on "Cross-Linguistic Investigations of Syntactic Creativity Errors in Children’s Wh-questions" in Germany next year. Brava, Jane! Join us in welcoming six new graduate students joining our department this fall. They come from a variety of backgrounds and from all corners of the globe. We can't wait to start working with them! Click the above link for their profiles. 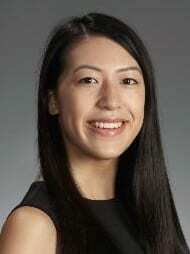 Rebecca Lin is the lead author on an article entitled "Visualized Emotion Ontology: a model for representing visual cues of emotions," which was recently published in BMC Medical Informatics and Decision Making! Rebecca is a cognitive science major entering her junior year. Drs. Michael Bonner and Leyla Isik will join our department on January 1 and July 1, 2019, respectively. They are recruiting PhD students to begin working in their labs in Fall 2019. Applications will be accepted Sept. 2018 through Dec 15, 2018. Click on the link above for details. Assistant research scientist Dr. Jeremy Purcell accepted a position as a Faculty Specialist at the UMd Neuroimaging Center, starting in August. Congrats, Jeremy! Each spring, our faculty members choose a graduating cognitive science major with the strongest combination of academic excellence and outstanding accomplishments in research. This year, Arunima Vijay receives the honor. This volume brings together, for the first time, theoretically grounded and methodologically rigorous research on developmental dysgraphia, presented alongside reviews of the typical development of spelling and writing skills. Since publishing a research study she led about the peculiarities of the letter "g," Kimberly Wong, a junior studying cognitive science, has been congratulated by people she barely knows, watched as friends and family shared links to news articles about the study, and fielded countless interview requests from reporters.